The way to choose a professional espresso machine for use in cafe or coffee shop is very different from one that you would use at home or office. 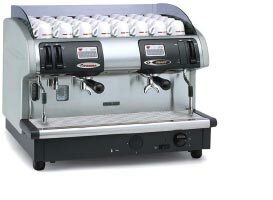 For home or office use, price of the machine remains to be a key factor, for commercial use, the value of a professional espresso machine is being evaluated instead of just the base price. Because of the heavier usage and high volume that the commercial espresso maker is expected to deliver, if the standard of the machine is low, it would be prompt to frequent breakdown. Forget about companies offering you free one year on site warranty and repair services! If your machine is down, you cannot serve your customers, so that is lost opportunity, no matter how short the turn around time is. As highlighted in the earlier pointers, a good quality machine would not break down frequently and so no lost sales for your coffee shop. Another thing is the quality of the coffee must be good. 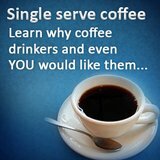 Most of the time, the folks that are using the espresso maker would be your staff and not you. So, no matter how good your brewing skills is or how well you can handled the machine, if your staff cannot do it, your shop would still delivers lousy coffee. The best way to replicated your skill is to calibrate the commercial espresso machine with the conditions that would brew a great espresso, and your staff simply has to press a button to serve the customer. This would ensure consistent quality all the time. The maintenance of the machine would have a direct impact on the profit that you can reaped from your coffee business. Here is how it goes: a professional espresso machine that has a more complicated cleaning sequence would meant a longer working time for your staff. This would mean more money paid on wages to your staff. 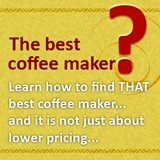 So, the easier the maintenance of the machine, the more profit from your coffee shop. This is exclusive to the cafe or coffee shop business only. The fact is, you might not have to buy the espresso machine after all. There are at least two other ways to have an espresso maker in your cafe without a hefty investment. 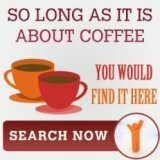 The most common way is to rent it from coffee manufacturer. 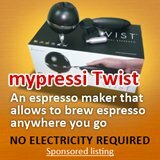 For a fixed sum monthly, you would pay for the espresso machine to be used in your cafe. The beauty of this arrangement is not huge first time investment. Another way is the free on loan model. Cafe and coffee shops that go with this model would have to use the coffee that are dictated by the coffee company. Moreover, they would set a minimum quantity that you would need to fulfill per month in order to enjoy this privilege. The beauty of this, is no investment in machine at all, however, you are restricted in the coffee types that you would be able to use. There you have it folks, some elements to consider when choosing a professional espresso machine.